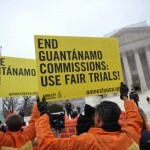 Congress has no more excuses either: they must allow detainees to have fair trials in federal court. 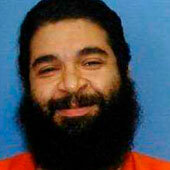 Shaker Aamer has been held at Guantánamo for nearly 12 years without charge. 155 men remain detained at Guantánamo, 77 are cleared for transfer and should be released today. Many are entering their 13th year of being deprived of their liberty without any charge or trial. But this isn’t just about them. This is about defending everyone’s right to a fair trial. We all want justice for 9/11 and security from attacks. The way to do that is use the criminal justice system in compliance with human rights standards. Guantánamo is not only immoral and illegal, it’s unnecessary. 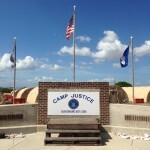 The recent detainee transfers from Guantánamo – nine in December 2013 – cannot disguise the fact that the U.S. has yet to fully recognize or apply its human rights obligations. That’s why we’ll be participating in a rally and procession today to demand the closure of the detention facility. Meet us at noon in front of the White House to march with us and call on President Obama to finally fulfill his broken promise to shut it down. If you can’t join us there, sign this petition telling President Obama and Congress that you support closing Guantánamo. There’s no time to waste – nine men have already died inside the prison walls waiting for justice. The 5th anniversary of President Obama signing an executive order for Guantánamo’s closure is on January 22nd. He continues to reaffirm his commitment to closing the detention facility. How long will it take for him to make good on that promise? This entry was posted in International Justice, Military, Police and Arms, Prisoners and People at Risk, Security and Human Rights, USA and tagged detention and imprisonment, end unlawful detention, fair trials, guantanamo, illegal and indefinite detention, international justice, legislative and policy reform, Military Police and Arms, prisoners and people at risk, security and human rights, security with human rights, Shaker Aamer, USA by Guest Writer. Bookmark the permalink. It was an inside job. The criminal plutocracy needs it scapegoats.